The first assessment we perform is our Thermography Scan. This is the first in a series of three scans we may perform. Our nervous system, our “master control system” is the main controller of all heat distribution in the body. By using this infrared thermography we can assess your spine and nervous system for areas where heat distribution has been altered, giving us a much clearer picture of where subluxations may be. Typically the scan should be all white bars. This tells us that heat is being distributed equally on both sides. If you see bars of green, blue, or red that’s demonstrating areas of mild, moderate, to tremendous stress and inflammation on the spine and nervous system, which is not good. 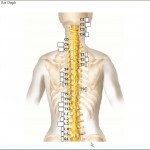 You may have received a Nervous System Chart showing the areas of spine, what areas of the nervous system is protected in that area, as well as what common effects can be seen if subluxations are present in those areas. 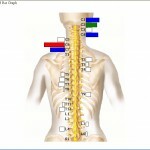 Note the correlation between the areas of the spine that show altered colors (green, blue, or red) and the nervous system chart you were given to see if areas correlate to the symptoms you may be having. It’s important to note that areas with 2 or more consecutive colored bars together indicate significant levels of stress on the spine and nervous system. Areas that have reached levels of red indicate that the subluxation is much more mature and has been there quite awhile. It’s also very important to note that symptoms do NOT need to be present for the scanning technology to pick up alterations in heat distribution. Most of the time symptoms are the last thing to show up and the first thing to leave. This test gets the root cause of the issue, which is your body’s inability to heal and correct the problem due to subluxations in your nervous system. The thermal scan is great tool for understanding how subluxations have affected specific areas of stress on the spine and nervous system. Our other assessments can help us achieve a much broader and global understanding how subluxations have been affected your entire body as well as your health.